software solutions to large enterprises for over 25 years. to tailor the software to suit your particular needs. During this initial consultation with one of our implementation specialists we will discuss your unique business needs. With their extensive knowledge of the present functionality of our software, our implementation specialists will be able to tell you exactly what our software can do for you, and what possible modifications can be made to achieve what you want. Begin this process now by completing our Consultation Contact form (see right top). Your implementation specialist will give you a personalized tour of the Scheduling Manager ERP version. During this personalized tour we can spend as much time as necessary focusing on the specific aspects of the software that are most important and relevant to you. It is highly recommended that all persons from your organization that have unique knowledge of the procedures involved in the company participate in the web presentation. 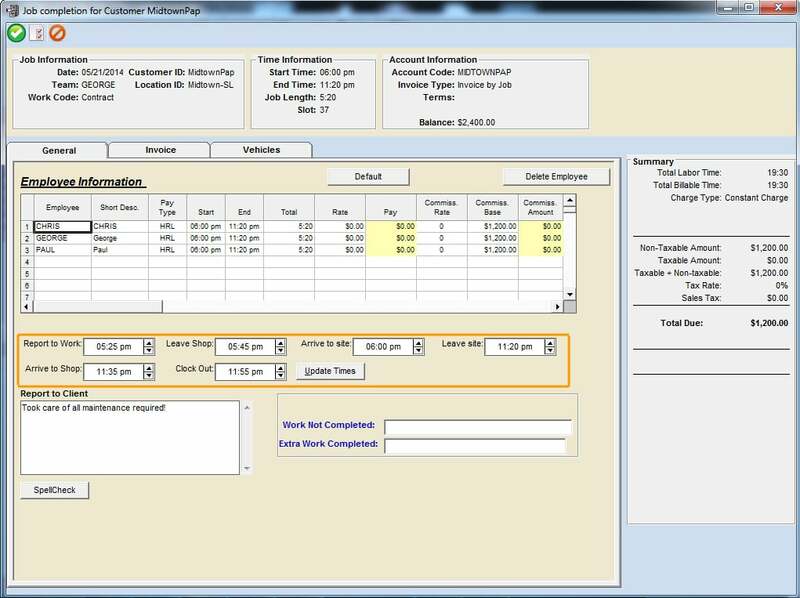 Based on the information exchanged during the web presentation we will provide you with a summary of the custom modifications needed, with an estimate of cost, along with the off-the-shelf cost of the ERP version of Scheduling Manager. Further consultations to review and refine the proposed modifications. We strongly encourage all key personnel with knowledge of the inner workings of the company and procedures to be included at some point during these consultations. A final set of specifications complete with pricing of the software and any necessary modifications will be delivered to you, along with costs for on-site training (if applicable) and ongoing support costs. 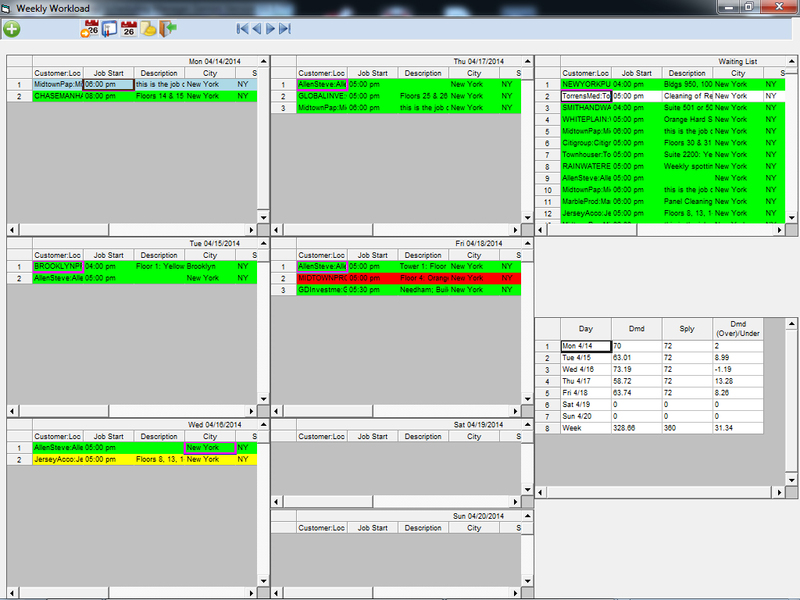 Ability to drag and drop “Waiting List” jobs onto a specific day of the week. A side display spreadsheet that contains information about the total job hours assigned to each day of the week, versus the total number of employee hours available to work that day. Helpful color-coding of jobs to distinguish between regular contract jobs, re-work and one-off jobs. The ability to drag “Unassigned” jobs to a particlar route. The ability to drag employees onto jobs (the helpful “Available Employees” side-bar also lists information about how many hours each employees has worked for that day, and that week). The ability to drag vehicles onto jobs. Store and track important maintenance information for each vehicle. Drag and drop vehicles to assign them to jobs (using the Daily Dispatch Calendar). 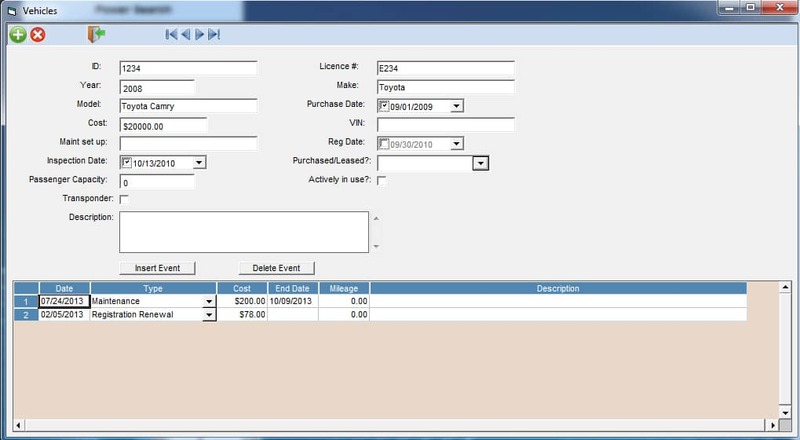 The ability to specify which employees assigned to a job are assigned to which vehicles. The ability to record special skills required to operate certain vehicles. The ability for the software to verify that employees assigned to a vehicle possess the necessary skills for operating the particular vehicle. 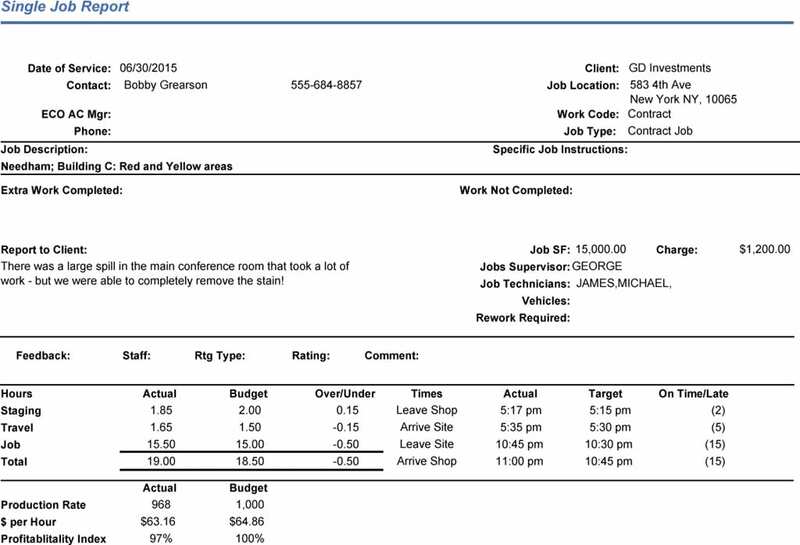 Record employees’ check-in and check-out times as part of the job completion process. You can segment employee times, defining travel time, preparation time, actual work time, and more, using categories which you can define. Different pay rates can be applied to each time type. Employees can enter their start and end times on a keyboard attached to a timekeeping computer at a specific location. Job start times and end time can be recorded in our mobile app, SM-Mobile. 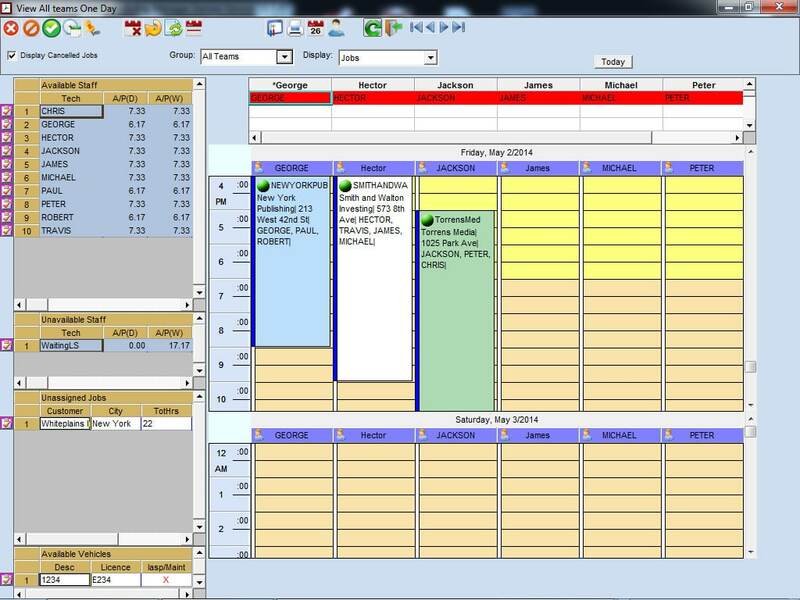 Times will automatically flow through to the Scheduling Manager, and be attached to the appropriate job..
Start and end times for each job can also be recorded via the Web Portal online application. An interface to a Telephone Timekeeping application is also available. We also offer interfaces to a variety of biometric and other installed timekeeping devices. Employee times on the job (preparation time, travel time, and time spent on the job). Customer feedback and satisfaction index with the job.